Pepper's roots are planted in Illinois, as our birthplace, headquarters and largest center of operations. From offices in downtown Chicago and the suburb of Barrington, we service clients throughout the state and the Midwest region, as well as across the country. 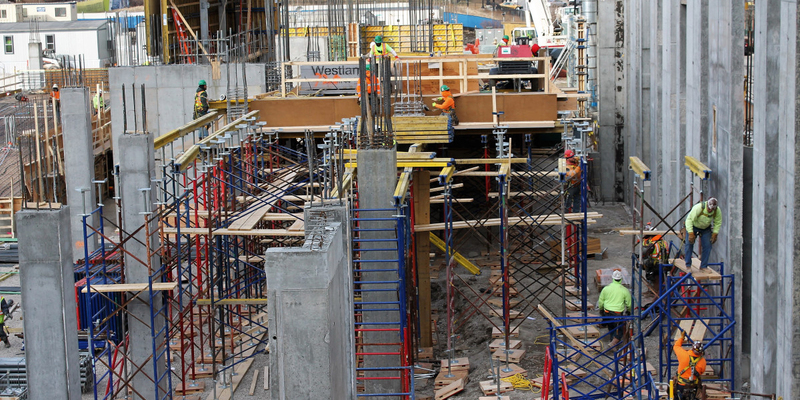 Whether our teams are figuring out how to shoehorn a 21-story hotel into a tight urban site, building a suburban corporate headquarters or completing planning and construction for local school districts, we approach every project as a true partner ready to help you make the most informed decisions and achieve your goals. Much of the credit for our successful relationships over the past 90 years goes to the trust that we build project by project. In fact, more than 80 percent of clients who have worked with Pepper choose to work with us again and again. It's that level of trust that motivates us to keep innovating and advancing so we can bring even more value to the services we provide. Those services are often used to support large projects scheduled across multiple phases and costing hundreds of millions of dollars, and Pepper has the financial strength and staff resources to properly support each one. We also offer the same level of dedication to our smaller projects. It may surprise you to learn that despite our size and reputation, our average project size is about $3 million. We understand how to deliver work at both ends of the spectrum – and everywhere in between – and enjoy the variety that doing so provides. One common thread among all projects is the full integration of our services. At any point, your project team has the ability to tap experts in a variety of areas, including estimating, quality, safety, high performance, MEP coordination and laser scanning. We use the latest technology to weave everything together in ways that help you achieve your goals, while clearly tracking and helping you understand exactly where you are at each step along the way. 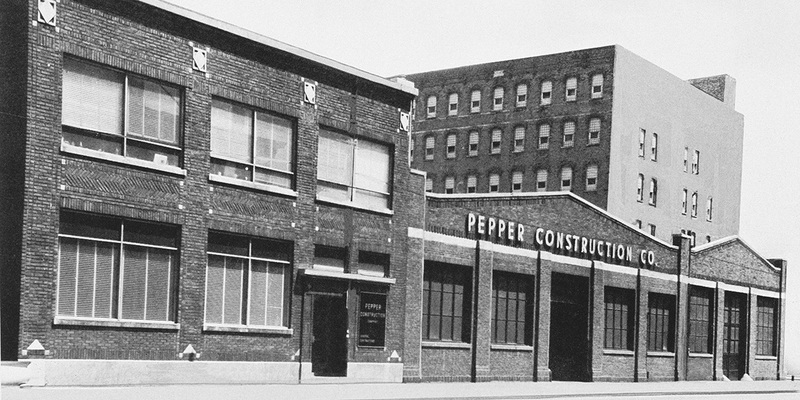 Pepper Construction was established by Stanley F. Pepper 90 years ago in Chicago. Though not the most fortuitous time to be opening a new business, Stanley's business was able to survive the Great Depression because he chose to rely on sweat equity instead of loans, growing the business only as he could afford it. He quickly earned a reputation for doing quality work, and word of mouth led to more jobs. Then, in 1930, Stanley got a phone call from a friend who worked at Marshall Fields. The retailer's wholesale operation was moving into the new Merchandise Mart and they wanted to know if Stanley could handle the move and all the related construction work. He said, "I've never done anything like that, but I'll try." And the rest, as they say, is history. Now in the third generation of family leadership, Pepper still calls Chicago "home," and we continue to leave our mark on the region's landscape. From the Shedd Oceanarium to The Art Institute to Wrigley Field, Pepper Illinois has built, renovated or consulted on many of the city's best known landmarks, hospitals, universities, hotels, residential towers and stores, as well as many smaller spaces. Even as a one-man operation, Stanley knew that success comes from a spirit of partnership, and partnerships thrive on trust. Following his lead, today we continue to build relationships one job at a time. Our more than 700 Illinois-based employees understand we're carrying out a legacy. It's what motivates us to keep breaking ground every day. At Pepper, we believe in growth — for our partners and collaborators, our business and our industry, but most importantly, our people. We educate and challenge our workforce, creating a supportive environment that both nurtures and motivates. 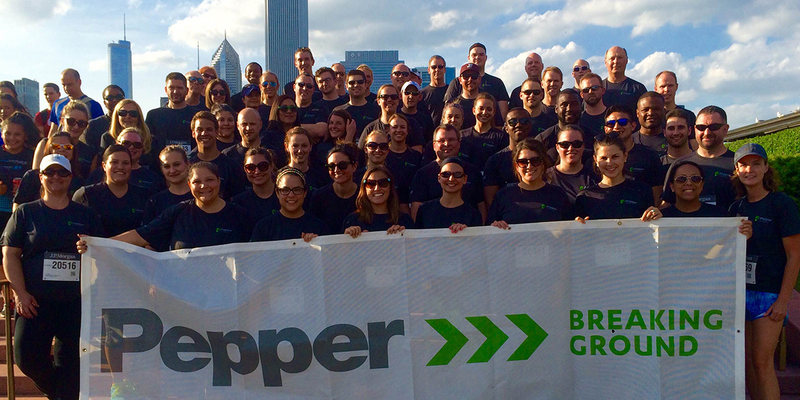 Pepper Illinois has always been engaged with the communities in which we live and work. This includes support of construction industry programs including training, mentorship and diversity outreach, as well as support of the causes that are important to our employees, clients and other partners. For example, several of our team members currently hold or have held leadership positions with the Association of General Contractors Education and Research Foundation, the Builders Association, U.S. Green Building Council, AIA 2030 Chicago Working Group, the American Institute of Constructors and CoreNet. Beyond direct industry engagement, we provide volunteers and financial support for a broad range of organizations, including Canstruction, The Greater Chicago Food Depository, Junior Achievement, ACE and many others. In the past few years, Pepper has quickly become one of the top providers of concrete services in the Chicago area. We offer several ways to deliver our services, including separate bidding, design assist and cost-plus. Our highly trained teams provide insight for early procurement needs, trade-specific constructability savings, material selection decisions and schedule solutions. As senior vice president / field operations, Ron is responsible for monitoring the construction work at the project site. Ron identifies problems in quality, scheduling, cost control, safety, documentation, labor relations, and any other areas that affect the successful completion of the project. Then he recommends and takes appropriate action to correct problem areas and keep the project on track for success. His lengthy and successful career in construction management can be attributed to his keen eye for quality work and his knack for creative solutions. As business development director, Scott supports Pepper Illinois' Barrington operations with deep regional expertise in design, engineering and trade relationship building, particularly in the K-12 sector. A former educator turned business developer, Scott joined Pepper after leading K-12 business development efforts for an architecture firm. His ability to empathize with end users helps Pepper more fully understand our clients’ needs and how we can help them achieve their goals. Tony Smaniotto is a commercial real estate veteran with 30 years of experience in corporate real estate, capital markets, city planning and real estate development. A business developer and strong team player, Tony works closely with the executive leadership team at Pepper, where our client's projects represent the future. As business development director, he responsible for strategic account development with a focus on identifying new opportunities in the corporate workplace, retail and healthcare interiors markets. Tony earned his MBA in Finance and Real Estate, with Academic Distinction, from the DePaul University Charles H. Kellstadt Graduate School of Business. He also holds a Bachelor of Arts in Urban and Regional Planning from the University of Illinois at Urbana-Champaign. Tony is chairman of the CoreNet Chicago chapter, past president and honorary board member of The Dads Association at the University of Illinois and treasurer and board member of the Chicago Illini Club.